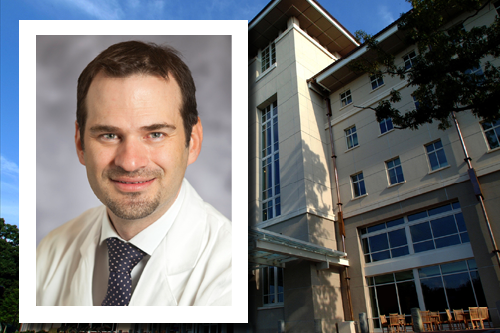 Winship medical oncologist Leon Bernal-Mizrachi, MD, has received a Health Innovator Fellowship with the Aspen Institute, an educational and policy studies organization based in Washington, DC. Winship Cancer Institute medical oncologist Leon Bernal-Mizrachi, MD, has received a Health Innovator Fellowship with the Aspen Institute, an educational and policy studies organization based in Washington, DC. The Health Innovators Fellowship seeks to strengthen the leadership of innovators across the United States health care ecosystem and to connect, inspire, and challenge these leaders to create new approaches to improve the health and well-being of Americans. Bernal-Mizrachi will be involved in designing and launching a leadership venture to address the challenges of health disparities within America's health care system. He is one of 20 fellows nominated and selected to participate in a series of leadership training seminars over two years.